The picturesque Malaysian atoll consisting of 99 islands is easily reachable from Kuala Lumpur (a one hour flight) and Penang (around a three hour ferry). AirAsia offers hourly flights from Kuala Lumpur but be aware that flights routinely get delayed as the day goes on due to weather delays. If delays bother you, book the first flights of the day or ensure that you leave an extra hour or two up your sleeve if connecting with another flight. Guests of The St. Regis and The Westin also get access to a lounge in Langkawi Airport conveniently right by the gates (no alcohol available due to local restrictions). 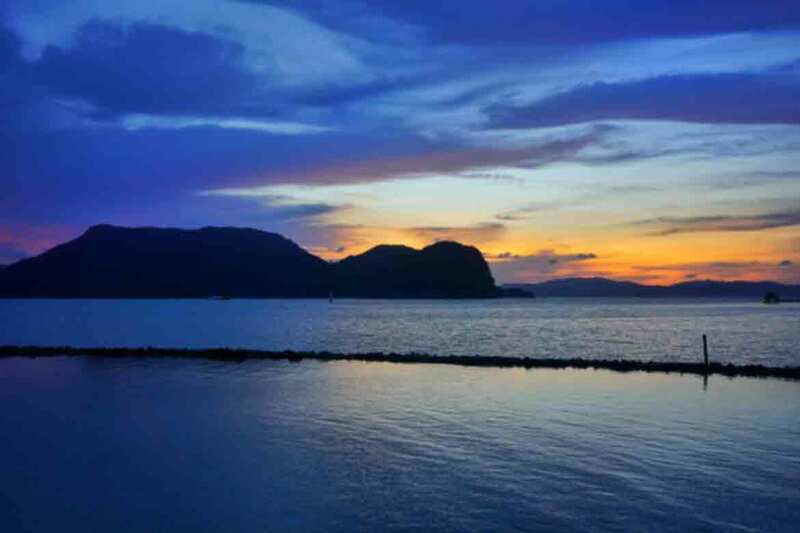 Perfect for couples, the elegant St. Regis is the height of luxury on Langkawi. Nestled in a private bay that feels a world away from the hoards of tourists on Cenang beach, this near new property brings the classic St. Regis butler service and New York aesthetic to Malaysia’s little slice of paradise. We recommend the St. Regis Pool Suite for the ultimate in lazy pool day lounging. Ideal for families and those wanting pool villas with plenty of space and privacy, the expansive Westin offers comfortable, relaxed villas (and rooms) with a distinctly easy, breezy island vibe. Children’s pools and a kids club cater for the younger family members, while the resort’s location next to The St. Regis means you can still access their restaurants and spa also (including the fabulous Kayu Puti). The premier dining destination on the island, Kayu Puti sits conveniently located overwater on a pier that separates The St. Regis from The Westin. Stunning interiors, an large deck made for sunset lounging and seriously fabulous food and wine make this the property on the island you can’t miss. Ensure you book ahead to avoid disappointment. Nature lovers will enjoy the chance to learn more about Langkawi’s mangrove eco-system, home to fish that walk, the unusual looking Fiddler Crabs and beautiful Kingfishers. Sail past rock formations that are hundreds of millions of years old and even get a glimpse of Thailand across the water. Make a pit stop for a meal in a local home before trekking 15 minutes to a picturesque waterfall for a cool off. From 250MYR per person. Ask your hotel concierge to book. TripAdvisor’s no.1 thing to to do in Langkawi is none other than Panorama, the world’s steepest cable car. Situated in a rather awful, almost derelict ‘theme park’, the views from the top are certainly spectacular. Bear in mind that it’s not for the faint of heart, with seriously stomach churning heights while ascending in the gondola. A caveat, however – we got stuck on the descent for 40 minutes in 4o degree heat in our wildly swinging cabin, merely inching our way down the mountain in starts and stops due to what was only explained as ‘technical problems’. When I enquired I was told this last happened two weeks ago and happens on a reasonably regular basis. I found the experience rather harrowing and personally cannot vouch for the reliability or quality of this activity. Proceed at your own risk. One of Langkawi’s two man made islands (making this island number ‘101’), Paradise 101 is currently only available for private hire or bookings via selected hotel concierge. There are activities a plenty when it comes to watersports, but I chose to head out on a jetski safari to explore Langkawi’s calm waters and picturesque views. If you don’t mind crowds, Naam also operate both non-motorized and motorized watersports out of Cenang beach and non-motorized watersports at The Westin resort.